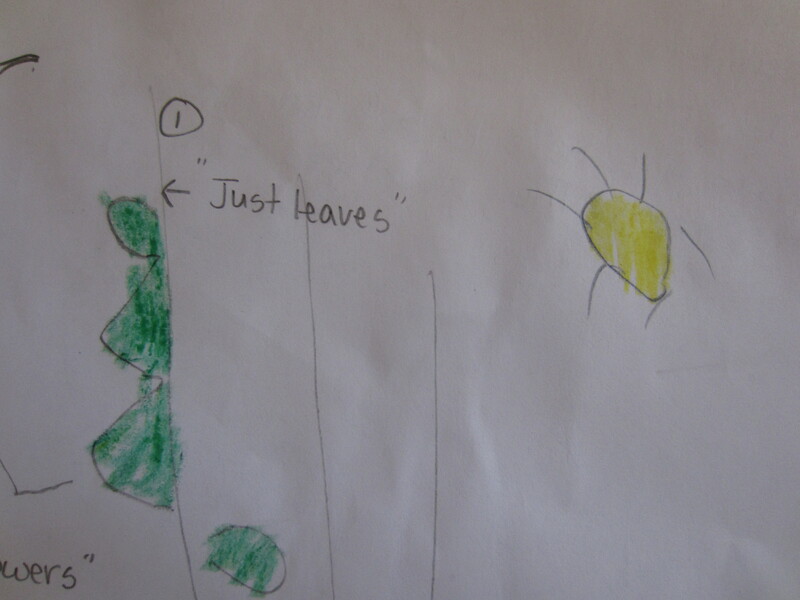 The museum has a program called the “Nature Exchange” where in children can either bring in or draw items they see in their natural surroundings in exchange for points. These points then can be spent on a variety of shells, rocks, minerals, bugs, and lots of other really neato stuff. The more you know about your item or drawing the more points you get. E turned in her first “nature journal” she did of a duck pond and earned her first 300 points. She passed up some pretty cool rocks, all kinds of seed pods, pinecones, among so much other stuff and brought home a handful of the tiniest shells imaginable. You never know what will catch a child’s fancy. 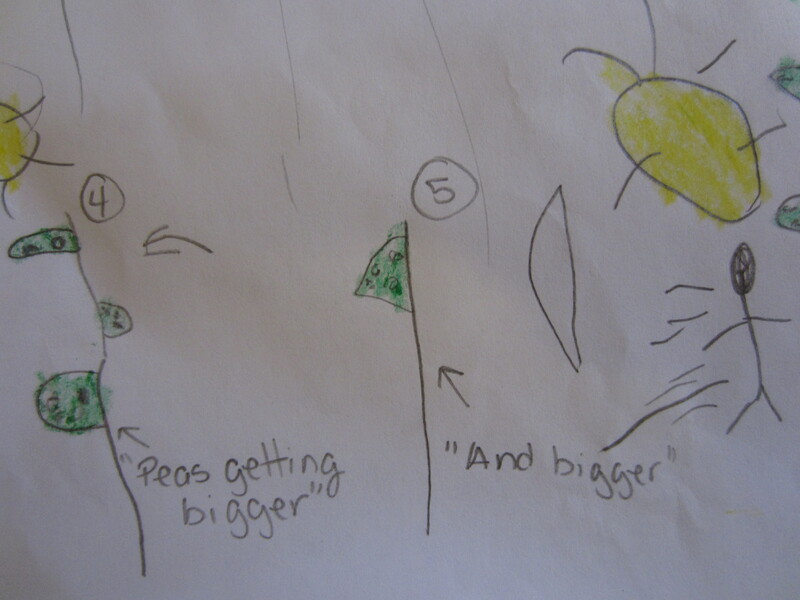 A few days later, she was asking to do another “nature journal.” She quickly decided she wanted to draw peas. As I mentioned in this post, E is anxiously waiting the harvesting of peas. Every day she checks to see if the pods are plump enough to pluck. I handed her a clip board, some blank paper, a pencil, and walked away. 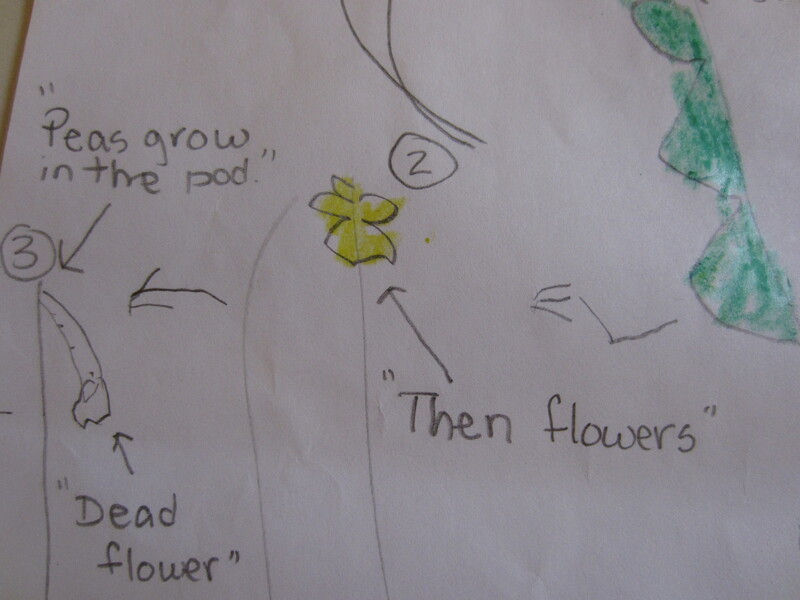 All on her own, she came up with a succession of drawings showing the pea growth in stages. She later added color and instructed me how to label the drawing. I think most young children are naturally interested in whatever their parents are doing whether that be gardening, writing, carpentry, chemistry, daily house chores, you name it. 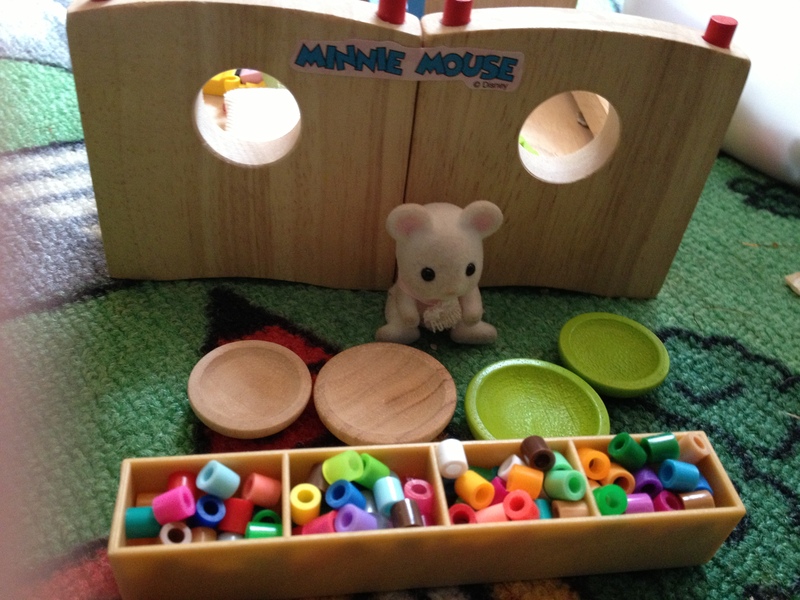 I looked forward to watching my children’s first steps, take sheer delight in watching H develop his language, and am continually reminded by E that children continue to make these developmental leaps as they get older. They may just be more subtle. I was just as excited to see E’s written observation of the world via the peas as I was to hear her first words. As hard as it can be sometimes, I am glad I have been able to be home these last couple of years. It was not an easy decision, but now I have lived in the two parenting worlds that are so hotly debated these days: the working outside the home parent and the full-time at home parent. I judge no one for these choices we have to make (or don’t have the privilege to make). E starts Kindergarten in the fall, and I may be back to work by the time she enters first grade. Life will go back to being very busy. So, for now, I am happy to have these few months to laze around the garden and watch the peas (and the children) grow. I enjoyed reading about your experience. Enjoy it while she’s young….before you know it they grow up ! Thank you so much for your comment. And yes, they will be grown up in the blink of an eye.